Summer in our area is beautiful. But when the heat and humidity rise, you want an air conditioning system you can rely on to keep your home and family comfortable. At Wilson Oil & Propane, we have nearly 50 years of experience providing air conditioning service in the Delaware Valley in Pennsylvania, New Castle County in Delaware and Gloucester and Salem counties in New Jersey. You need to ask yourself: Is my cooling system ready to handle another season of sweltering summer heat? Wilson’s team of experienced technicians is fully trained in air conditioning installation, and you can trust us to help you choose a system that will not only keep your home cool, but reduce your energy bills, too. Improved efficiency can often cut your cooling costs in half, eliminate expensive repairs and keep your home cool no matter how hot it gets. We offer a wide range of top-performing brands—and we can also help you take advantage of special rebates and financing. A properly installed and maintained air conditioning system will have fewer breakdowns than one that has been neglected. That’s why we offer all the same NATE-certified expertise and money-saving services that we provide for heating equipment—including service plans and tune-ups. 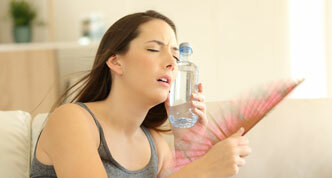 But if you need air conditioning repair, we’ll get your system up and running again as quickly as possible. With advanced training in the latest cooling systems, the Wilson Oil & Propane team is ready to handle any cooling system repair for all brands, from simple to complex. We’ll fix your system quickly, arriving at your home with a truck full of tools and a full array of replacement parts to complete the job right the first time. Seasonal AC tune-ups help you save money. They prevent a wide range of problems that can lead to expensive repairs. They also keep your air conditioning equipment running at peak efficiency, which means your home stays nice and cool while using less energy. If your cooling equipment is older, regular maintenance will extend its lifespan. If you have a new AC system, annual service will protect your investment and keep your equipment running at peak performance. Please keep in mind that all manufacturers require regular maintenance to keep equipment warranties valid. All our cooling system service plans include a yearly tune-up. You’ll also get priority service, and reduced or waived diagnostic fees and parts and labor costs, if your equipment does have a problem. Don’t sweat through another summer! 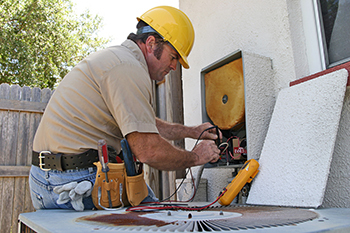 Contact us to learn more about A/C repairs and system maintenance. Wilson Oil & Propane—serving the Delaware Valley in PA, New Castle County in DE and Gloucester and Salem counties in NJ.